I am linking up with Tara and Lolo for Pin it Tuesday! Why? I love Pinterest. You can follow me if you do too! This week I thought I would pull some favorite pins from my "Oh How I Miss Thee" board. I just loved being a child of the 80s. Here are some fun flashback pins. Remember when MTV played music videos? What a pain in the hoo ha it was to listen to your favorite song. Play. Stop. Rewind. Play. Stop. Rewind. Play. Stop. Rewind. Play. Banana Clips, Charm Bracelets, Jelly Shoes. We had a ColecoVision with an Atari attachment. And finally, this is how I got ready for back-to-school. 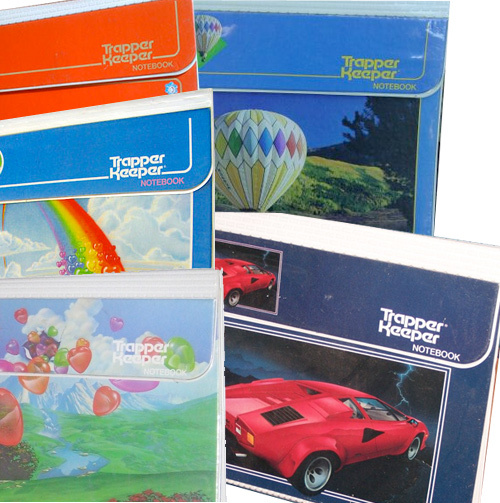 A brand new Trapper Keeper. 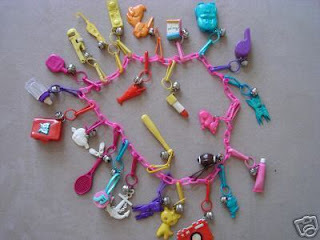 I had that rainbow one below. They were awesome. Why don't they make those anymore? I can still hear the velcro sound it made when I opened it. Did you enjoy your trip down memory lane as much as I did?